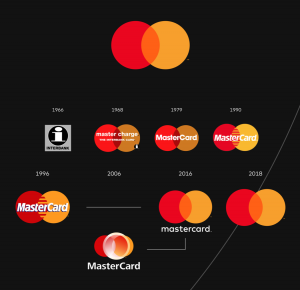 … Mastercard’s two interlocking circles have always represented their commitment to connecting people. Now, that commitment is given greater presence by Mastercard’s status as a symbol brand. Some companies do the opposite: They forego a symbol in favor of a stylized version of their name. That’s a little safer, since there’s no mistaking a spelled-out name for something else. Think Xerox, FedEx, and Nordstrom. She’s Next will be supported by the Female Founder Collective (FFC)—a network of businesses led by women, supporting women—that launched in 2018 and quickly grew to over 3,000 members. From streamlining payment methods to linking women small business owners with like-minded peers and experts, Visa and FFC will together offer unmatched resources and opportunities for female entrepreneurs. Visa is planning “… pop-up events around the world that offer a range of practical tools, resources, insights and networking opportunities for female entrepreneurs.” These include community-specific, interactive workshops, and advice from experts representing the likes of Visa, Square, and Yelp. Research “… from a forthcoming survey commissioned by Visa of US-based female small business owners will help to inform the issues that matter most to women entrepreneurs.” The research promises to focus on topics women cite as motivators in starting their own businesses, information on funding, and use of social media and digital marketing. Visa plans to launch an ad campaign promoting the program this year. There’s something surreal about the fact that it’s 2019 and marketers are still discovering there are women in the business world. But good on Visa and others for being “woke.” Better late than never.